Are you looking for the perfect industrial supplies? Gorrop Distributors are both industrial suppliers and mining suppliers. All these business requirements are taken care of under one roof. Gorrop Distributors has the best solution when it comes to forklifts for your business. We are based in Lydenburg, Mpumalanga and also operate in the Burgersfort and Steelpoort area. Gorrop Distributors specialise in forklift hire, mining and industrial supplies and plant hire. We are based in Lydenburg, Mpumalanga and operate in the Burgersfort and Steelpoort area. Running a construction site, warehouse or farm can be stressful. We are here to make business as stress-free as possible for you. Our experienced team will provide you with machinery such as TLB (Tractor, Loader, Backhoe), graders, excavators low beds, Low beds and rollers. Logistics companies, if you need tipper trucks for your cargo, we are the right people to call. Our company believes in providing high quality, professional service to all our clients. We do forklift leasing. 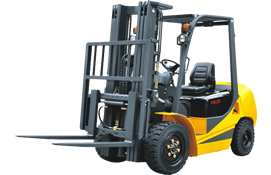 Our company has a range of diesel forklifts. If you are worried about extra stock coming into your warehouse and truck yard and are short on forklifts, we will supply you with forklifts to ensure your customer’s cargo is moved quickly and efficiently. If you are a new business and require a forklift lease, get in touch with us and we will build a lasting business relationship. Our forklift rates are competitive. When it comes to forklift rental, our dedicated team will ensure great customer service and customer satisfaction, whether clients hire forklifts short or long term. We also have Telescopic handlers (2.5 to 10 ton). These are ideal for mining, agriculture and construction. Heavy-duty lifting just got easier. Also our Telescopic handlers offer operators all-round visibility. Gorrop Distributors pride ourselves on handing machinery to our clients that is in good condition. Do you need mining and industrial supplies, look no further. Gorrop Distributors has an array of supplies such as hand tools, power tools, electric tools and cordless tools. For your convenience, we stock drill bits, multimeter, clamp metres and compressors. If you require safety equipment (PPE), Gorrop Distributors will help you keep plant workers safe. 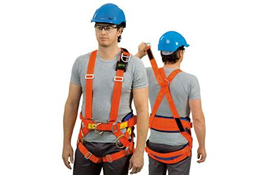 The right PPE will avoid the risks of injuries on duty and safety regulations will be taken care of too. We also offer tool plant hire. If you need excavators for heavy digging, bulk earthworks or road construction, Gorrop Distributors does plant rental. 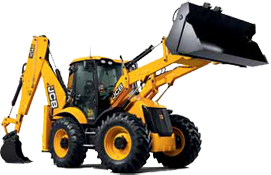 We guarantee our plant hire equipment will have your business running efficiently. Are you clearing your premises, our team is on hand to provide you with graders to get things moving. To help get machinery from site-to site, we have various Low Beds to handle different weighs and dimensions of machinery. Our company is an authorised Multiplaz agent. For all your machinery, plant hire and mining and industrial supplies, contact Gorrop Distributors today. We have an equipment solution for you.